The CIO role is changing – dramatically. More and more business executives are turning to CIOs for technology leadership that transforms the business. Research shows that for many of today’s CIOs, the strategic aspect of their jobs has become much more prominent. Many have stepped back from technical operations, and now focus mostly on working with the business community, making sure there is a clear understanding of business processes and needs. If the CIO role is changing, then how must IT change with it? 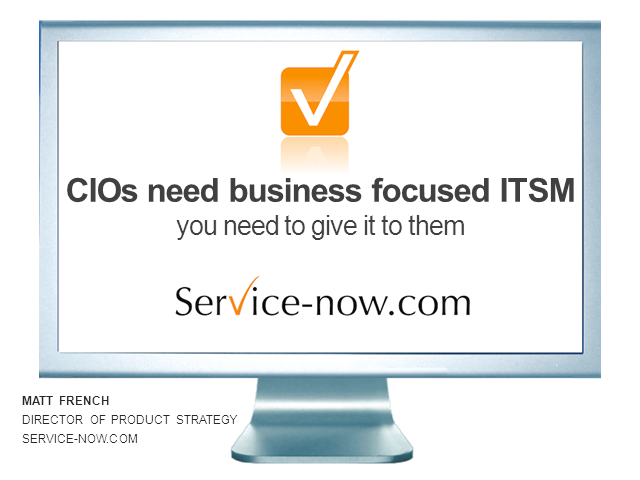 How will your role as an ITSM professional change? Join Matt as he shares industry trends and outlines the CIO’s new charter and how new business models and modern technology facilitate IT transformation. Learn how several ITSM organizations delivered IT operational excellence through enterprise strategy and innovation while contributing successfully to their CIO’s overall role of business strategist and leader.